23. Super Mario Bros.: The Great Mission to Rescue Princess Peach! Killscreen Cinema 23. 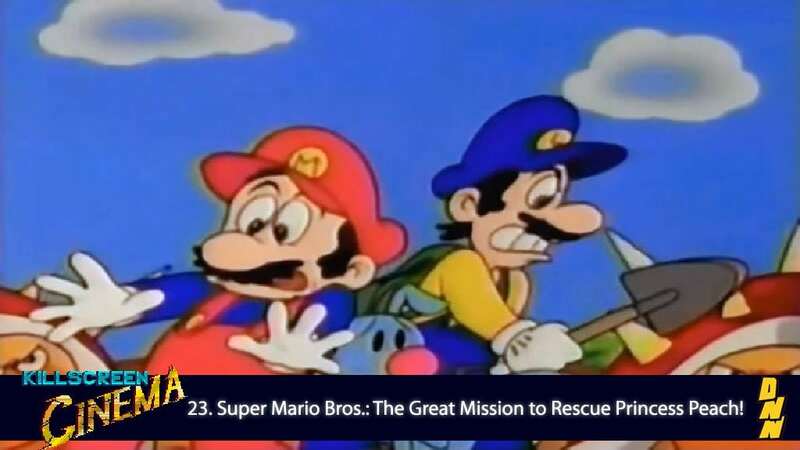 Super Mario Bros.: The Great Mission to Rescue Princess Peach! Mama Mia! The Killscreen Cinema crew are joined by fellow Carney Award nominee, The DNN’s own Eric Groovely, host of Necessary Neurosis, to watch the Super Mario Bros. anime! It holds the distinction for being the FIRST animated video game movie ever made and has the longest title of any movie Killscreen has covered. “Doki doki do it rock n’ roll” your love for this SUPER episode of Killscreen Cinema! Killscreen Cinema covers the niche genre of video game movies. We discuss terrible adaptations like the Super Mario Bros movie or films about video games like The Wizard. Subscribe to us on iTunes or SoundCloud, like us on Facebook, and follow us on Instagram!